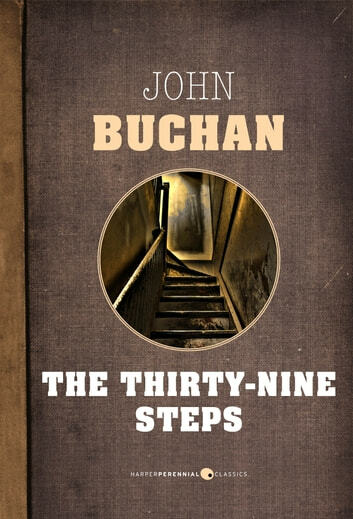 Set just before the onset of the First World War, The Thirty-Nine Steps introduces one of literature’s most memorable detectives, Richard Hannay, an expatriate Scot who has just returned to London from South Africa. Four days after hearing of an assassination plot and plans to steal Britain’s military strategies, Hannay’s informant is found dead in his apartment. Forced to flee from both the murderers and the police, Hannay must use his wits to stay ahead of his pursuers and warn the government before it is too late. 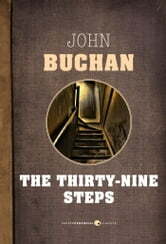 One of the most popular adventure stories ever written, The Thirty-Nine Steps is regarded as the starting point for espionage fiction and established John Buchan as the original thriller writer. The Thirty-Nine Steps, the first book in the Richard Hannay series, inspired many others novelists and filmmakers including Alfred Hitchcock who directed the first of four film adaptations of the novel.